Who Voted "Yes" and Who Voted "No"
To permit counties to include methane digester energy systems in a program that lets the county borrow money, lend it to a property owner money for a “renewable energy system,” and levy a special assessment on the property from which the loan would be repaid. To increase the annual off road vehicle license tax to $26.25 for a license that does not authorize operation on state ORV trails, and $36.25 for one that does. If no action is taken the tax expires in March 2018, but if the bill becomes law the tax will remain through March 2024 (unless extended by another bill before then). To expand a law that prohibits local governments from imposing mandatory job interview information requirements or restrictions. 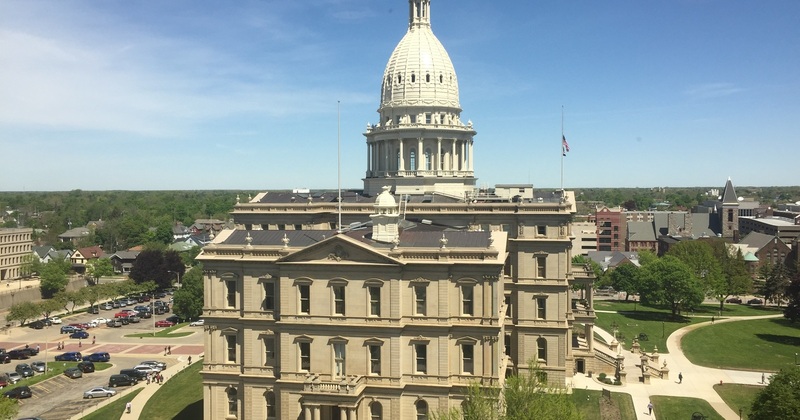 Among other things the bill would ban local ordinances that prohibit a local employer or the local government itself from asking about a prospective employee's previous salary history. To establish a process and liability exemption for a police agency disclosing information to another agency about a former officer who may have been fired. A separating officer could review the official record and make his written explanation a permanent part of it. Police job applicants would have to give prospective employers a waiver allowing them to get the separation records, and the former employer would be immune from liability for revealing this. To require high school coaches to get a refresher course every three years on the “concussion awareness training program” required by a 2012 law. State health officials would have to periodically review and update the training program the law required them to create. Also, to clarify that the high school "youth athletes" for whom that law requires parental waivers do not include 17 year olds in college. To prohibit local governments or authorities from imposing a tax or fee on the manufacture, distribution, wholesaling or retail sale of food for immediate consumption or non-immediate consumption. Among other things this would prohibit local officials from imposing soda taxes.